The abeyance of my beer writing for The Commons was decidedly not causal in the Biblical trials of fire, flood, destruction and death visited upon the area last year. Short of a plague of locusts, it didn’t seem like things could get much worse there for awhile; thankfully, some kind of karmic wheel appears to have turned at last. In the Brattleboro beer world the most visible victim of Irene’s ugly swath last August was the Flat Street Pub. The 30 taps in the downstairs Tap Room Restaurant effortlessly made it the best selection in town for the curious or restless imbiber. But the downstairs was inundated. 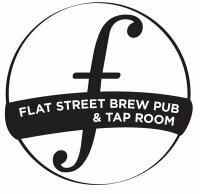 After an intense cleanup effort, aided early on by fans who volunteered, partners Steve Pardoe and Chris McInerney reopened the street level pub in mid-December–still the local record-holder with 20 taps. Downstairs remains closed, but according to pub manager Will Bissonnette, “It may be optimistic , but we’re hoping to reopen by the end of summer. A similar inundation further north in Waterbury ripped through the Alchemist Pub & Brewery on Main Street. After a few months agonizing over it, owners John and Jen Kimmich finally opted to shutter the brewpub and concentrate on the production brewery they had already started up–and which is now producing Heady Topper, a canned double IPA. But in a good sign for Waterbury, the Main Street gathering place reopened on March 15 as the Prohibition Pig, a spot for “Smoked Meat & Libations,” which includes plenty of taps. It was less climatology than economic storms which shuttered the Riverview Restaurant doors in early 2011. But the Bridge Street location will rise again. On March 20 the Brattleboro Selectboard approved a five-year small business loan of $40,000 that puts the Whetstone Station Restaurant and Brewery on track to open within months. “We could open the deck as early as Memorial Day and the restaurant closer to July,” said Tim Brady, who with his wife, Amy, runs the 40 Putney Road Bed and Breakfast inn. They’re partnering with hospitality consultant David Hiler in the new project, which suitably came to life in a craft brewery. 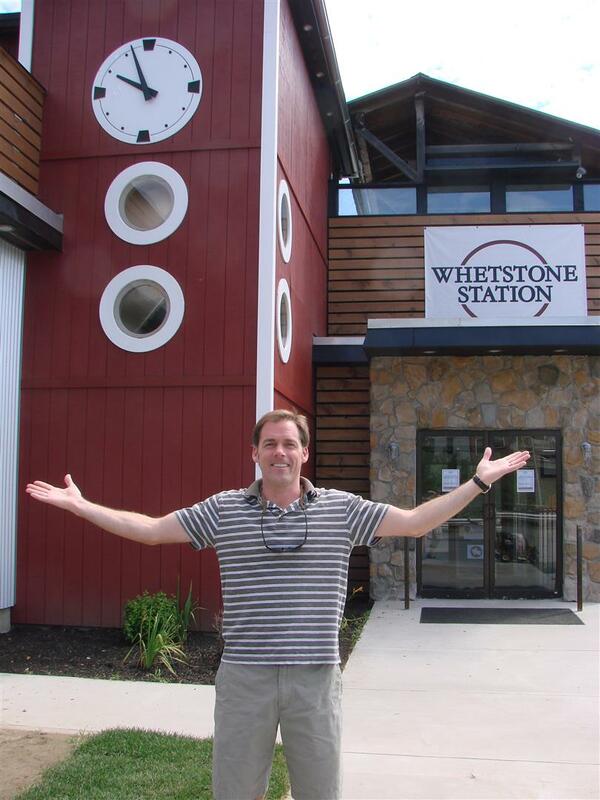 Whetstone will be a nanobrewery–an imprecise term, although “real small” might work. Whetstone will have but a 35-gallon brewhouse and five temperature-controlled fermenters. Basically about a keg and a half of brewing at a time, with a new beer coming on line once a week on average. There will also be 12 taps of other local and hard-to-find craft beers. 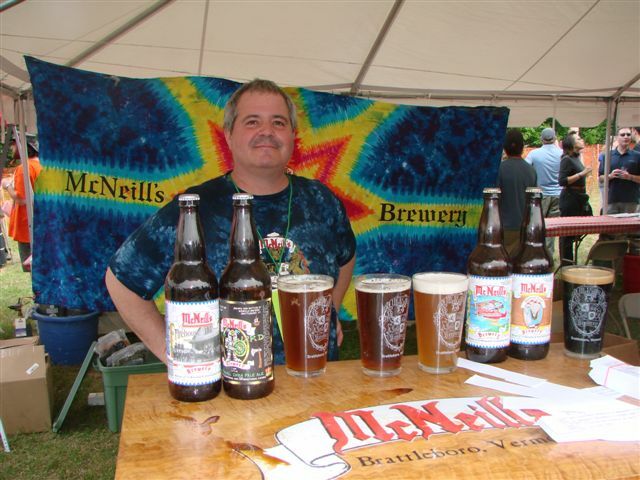 McNeill’s Brewing appears to be growing, its beers now in ten states and soon to be 11. But the brewery’s founder is lucky to be alive at all. Ray McNeill was a victim last year not from outside sources, but from an inside job–his own immune system, which for some reason couldn’t battle a Group A streptococci infection. He wound up at Dartmouth-Hitchcock last spring for ten weeks, and it was touch and go more than once. Doctors were mystified: “They’d never seen anything like it, so every morning there were 12 doctors in the room. It was something like a one in a billion case, so I became a specimen,” said McNeill. 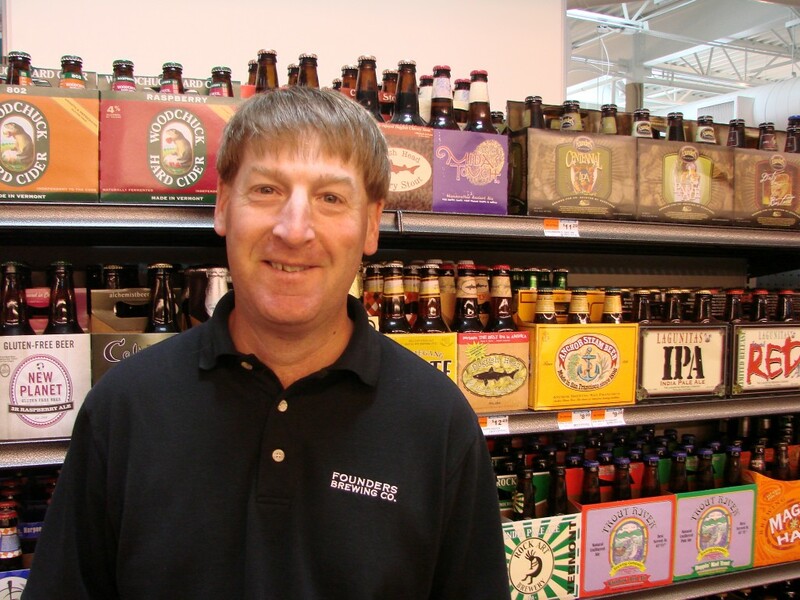 Like many, I found it tough coming to grips with the tragedy at the Brattleboro Food Co-op last year, after years of conversations around the beer shelves with beverage manager Richard Gagnon. It’s still pretty bewildering, and there’s no happy second act here, frankly. But the Co-op will move into its new building soon, perhaps leaving a few ghosts behind. And Jeff Houle has the beverage manager’s position sturdily in hand. Life goes on. The life of Brattleboro as a lively town for visiting beer aficionados continues to grow, and so the Brewers Festival will return for a third annual rendition. But the date has been moved from May to late September, so more details on that down the repaved road.